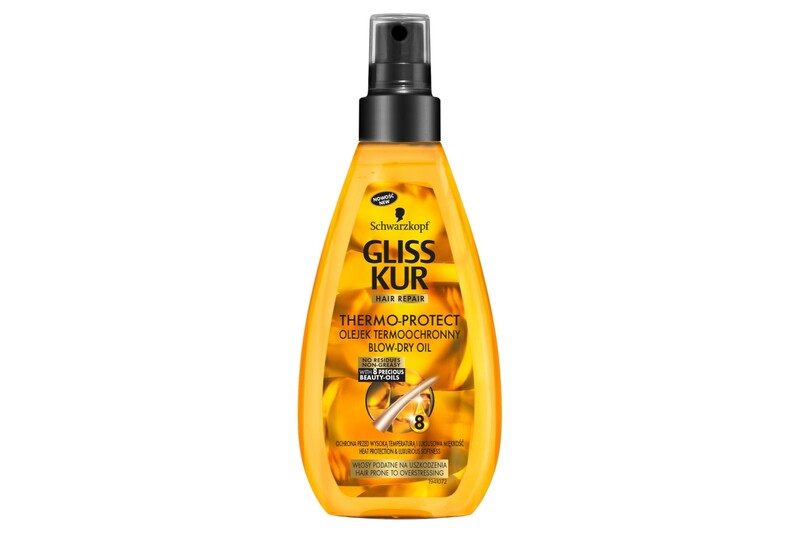 Schwarzkopf Gliss Kur Thermo-Protect Blow Dry Oil protects hair against high temperature produced by hairstyling tools, UV rays and heat styling. Moreover, it delivers softness, repair and healthy shine. It is a perfect intensive rebuilding treatment. 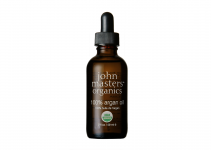 The oil prevents frizz, static and splitting of hair tips. How to use Schwarzkopf Gliss Kur Thermo-Protect Blow Dry Oil? Use the product every time before heat styling, blow-drying, straightening or curling. In this way, you protect the strands from high temperature and dehydration. You may as well apply the oil after styling for smoothness and gloss. What ingredients does Schwarzkopf Gliss Kur Thermo-Protect Blow Dry Oil contain? 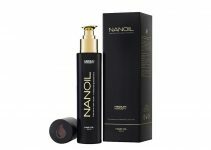 It offers as many as eight oils: argan, safflower, macadamia, olive, apricot, almond, rose and sesame. The cosmetic also includes keratin – natural ingredient found in our hair. Useful information: Schwarzkopf Gliss Kur Thermo-Protect Blow Dry Oil is lightweight. The fragrance of the product is delicate and vanishes quickly. 150 ml of the cosmetic can be found in one bottle. Fun fact: Rose oil, included in Schwarzkopf Gliss Kur Thermo-Protect Blow Dry Oil, is also used in aroma therapy. Not only does it smell beautifully but also calms you down, works as an aphrodisiac, provides hemostatic action and makes you feel relaxed.